Hugely anticipated and a long time coming, Honda is back with not one, but THREE all-new Fireblades and, for the most part, it’s been worth the wait even if it’s not head-and-shoulders the class leader some hoped for. An all-new ‘Blade is always big news and this latest version, in stock, ‘SP’ and homologation special ‘SP2’ forms, certainly delivers. What it hasn’t quite got, though, is the class-leading power and race success to silence doubters. 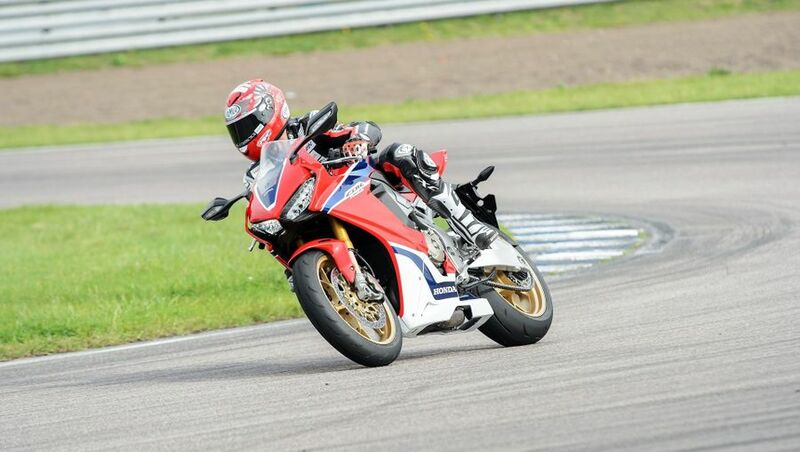 Interested in buying a Honda CBR1000RR Fireblade? Although good looking, effective and available in three, thoroughly thought-out guises (stock, active-Ohlins equipped SP and homologation special SP2) it’s also true the new ‘Blade has more caught up with the pack’ (after conspicuously lagging behind in recent years) rather than taken the big step forward many had hoped for. Sure, it’s class-competitive, while the SP, although £20K, is classy and brilliant, but it doesn’t exactly stand out, either, and has yet to reap much success on track. Hondas are historically reknown and have a well-deserved reputation for their well-thought-out ergonomics and refined, real-world manners and its latest Fireblades are no exception to the rule. Although undoubtedly sport-orientated and more than at home on track they’re also surprisingly natural and roomy and conspicuously lacking the cramping and awkwardness of some rivals, such as those from Aprilia and Yamaha, which some would argue are more suited to midgets. This latest generation of full-bore superbikes isn’t built with much of an eye for practicality, it must be said – instead their focus, increasingly, is the track – which is why Honda has built three different versions of this new Blade. That said, the base version, even though it’s still encumbered with a fairly fruity price tag, is a more comfortable, flexible and more versatile street machine than many of its rivals more than capable of eating up decent mileages and tackling town traffic far more easily than its racy looks suggest. Both the standard and SP ‘Blades share identical engines producing a decent 189bhp at 12,500rpm. That’s a healthy 11bhp up on the old model but still can’t quite match the likes of BMW and Kawasaki. For the road, however, it’s more than ample. Likewise, the big Tokico radial brakes of the stocker (even more impressive Brembos on the SP), ably assisted by cornering ABS give hugely impressive stopping ability, on par with the best in the class. It just doesn’t stand out as being in any way significantly better, that’s all. For the most part, the new Blade’s ride and handling is beyond criticism. The stock bike, equipped with multi-adjustable Showa suspension and weighing 1kg more than the SP, is slick and refined, with precise, accurate steering and unwavering stability. 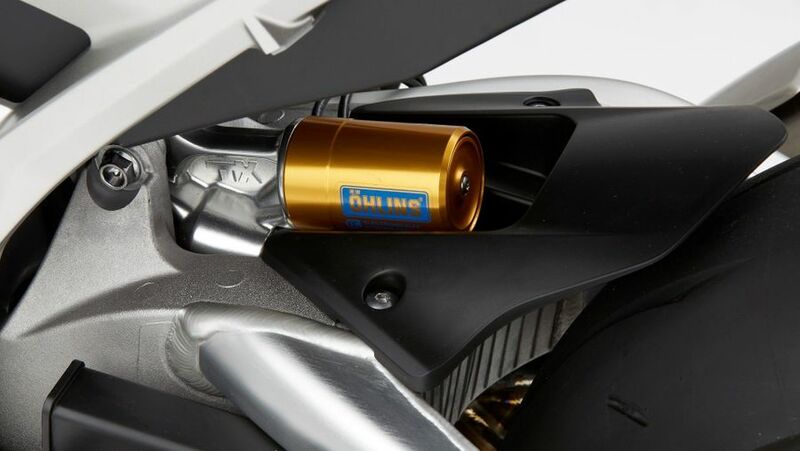 Then you try the SP, with its Ohlins semi-active suspension, Brembos and lighter components and it gets better yet. That aid, competition in this class is closer than ever. The Blade is a big step up and a slick, impressive road superbike. On track, however, it doesn’t get everything its own way. Admittedly it’s still too early days with the new Fireblades to pronounce on reliability with complete certainty. And it’s also true that this new superbike family has taken Honda into previously uncharted territory, particularly with regards to electronic rider aids which Honda had been reluctant to embrace before. Even so, generally speaking, Honda’s track record when it comes to reliability is beyond compare while its build quality and customer satisfaction is enviable, too, so we’ve nothing to fear, here. Honda’s warranty record and general service programmes are the envy of many manufacturers and the same is pretty much true with Big H’s new Fireblades. Major services are every 12,000km or 9000miles, which is pretty much par for the superbikes course while the standard, manufacturer-backed warranty for parts and labour covers unlimited mileage over the first two years, which again is the industry standard. 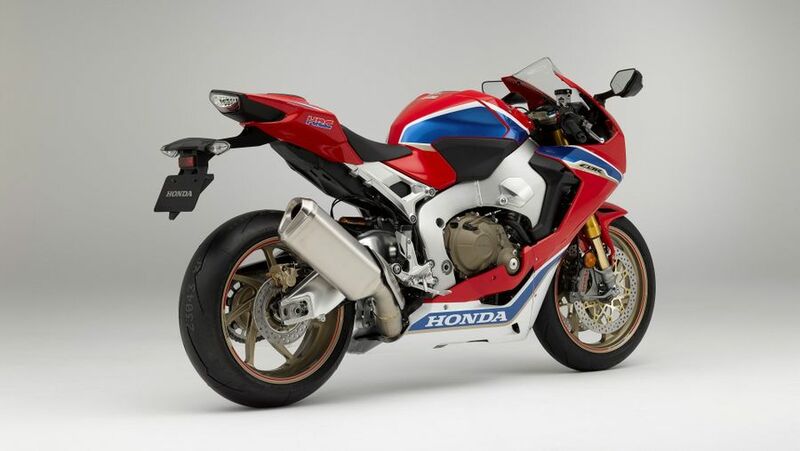 Again, because there are three different versions of Honda’s new Fireblade to choose from, ranging from the base, £15K model to the £20K SP to the track-only, homologation special SP2, in terms of spec it’s a bit of a case of ‘you pays your money, you takes your choice’. The base model comes with Tokico brakes and conventional Showa suspension plus Honda’s full range of new electronic rider aids, namely lean-sensitive traction control, cornering ABS, anti-wheelie and switchable power modes. 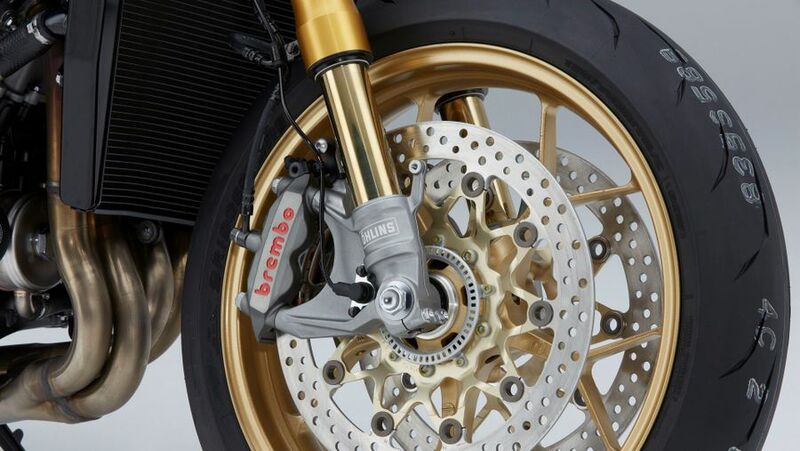 The SP, meanwhile, gets all those too, but with Ohlins semi-active suspension, Brembo brakes and forged wheels.